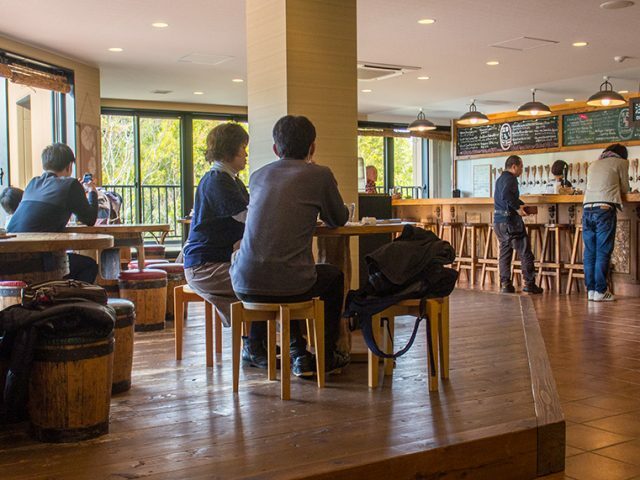 The tasting room at our Shuzenji brewery was opened in June 2014.
the sacred ground where our brewery team crafts, and drinks, an incredible diversity of characterful beer. 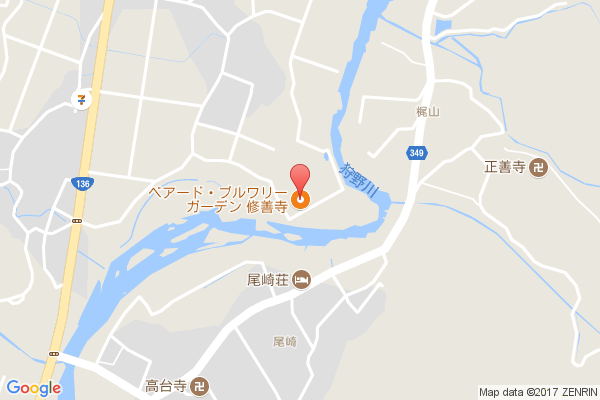 Our beautiful country brewery is situated on the banks of the pristine Kano River in the idyllic Shuzenji area of Izu city. By brewing, and farming, here we aim to highlight the intricate connection that exists between land and beer. It’s the perfect setting, too, for the enjoyment of passionately crafted Baird Beer. On the brewery third floor we have built a lovely 20-tap tasting room. It includes an outdoor beer deck with a spectacular view of the surrounding valley and mountains, a gift shop, and an observation corridor where you may spy down on the brewing activity below. In front of the brewery, nestled between it and the west bank of the Kano River, is an outdoor seating area where you also may enjoy your Baird Beer while reveling in nature. We only have light snacks available (e.g. 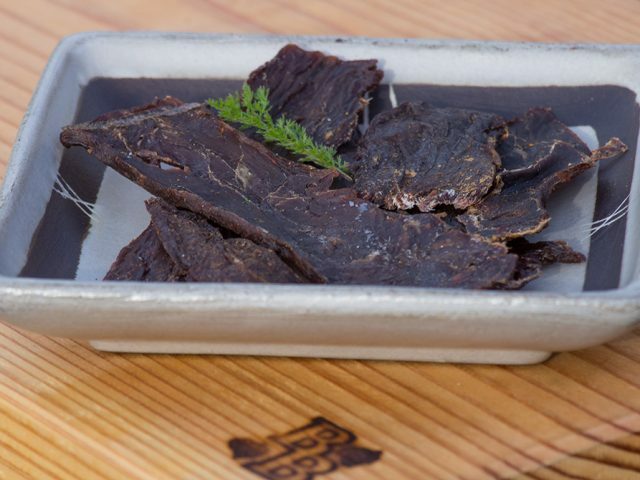 deer jerkey, smoked nuts, popcorn, etc.). Guests are welcome to bring food with them to enjoy while imbibing Baird Beer. At JR Mishima station, switch trains to the ``Izu-Hakone Railroad Sunzu-Line`` to Shuzenji station. Take the bus from line 4 or 5 to ``La-Fore Shuzenji Iriguchi`` stop and walk for about 10 minutes to our brewery.